Home » What Is Dangal ng Haraya? Home » Lifestyle » What Is Dangal ng Haraya? What Is Dangal ng Haraya? 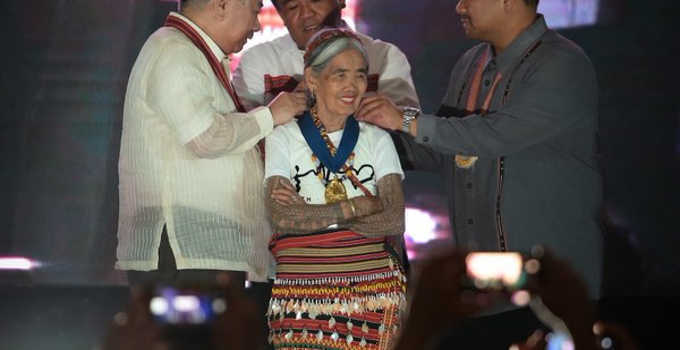 102 year old Kalinga Tattoo master Whang-Od Oggay conferred the Dangal ng Haraya award by the NCCA (National Commission For Culture And The Arts) for intangible cultural heritage. an impact and significant contribution to Philippine culture and arts. recognize exemplary cultural programs that can serve as valuable examples to others. It is the first time that the award has been given to a traditional or folk artist. Whang-Od was conferred the award by NCCA chairperson and National Artist for Literature Virgilio Almario. Eva Oggay, the honoree’s grandniece, told the Inquirer that Whang-Od had turned 102 years old last February.